French fries with mayo would be considered a standard snack in Belgium, Scandinavia and many other places in Europe, but only in the Netherlands does this cultural fusion exist. 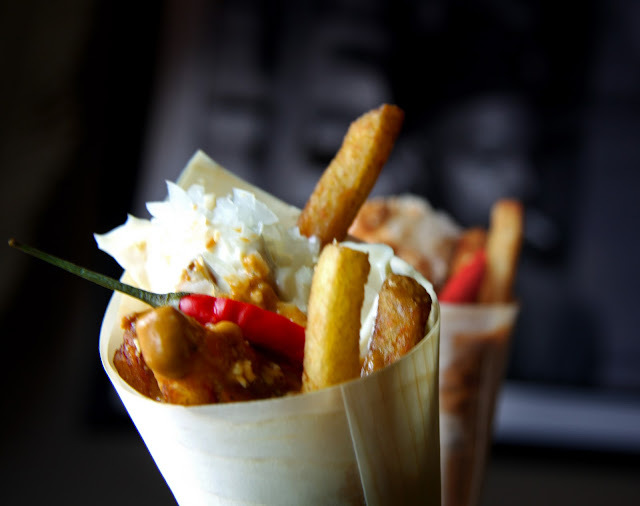 In Dutch patatje oorlog means "war chips" and is a tasty combination of French fries, mayo, raw onions and Indonesian sate sauce. Sate is one of Indonesia's most famous dishes. A spicy mix of peanuts, turmeric, ginger, kecap manis, chili and other regional spices are blended with coconut milk as a sauce for various meat skewers. 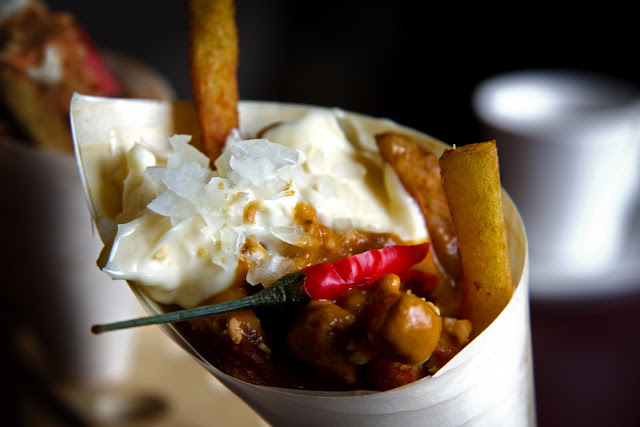 The colonial spice trade brought this dish back to Holland, and like rijsttafel has been assimilated into Dutch culture. I make a gourmet version at my restaurant in Toronto, and it's a big hit. I don't have a relevant video for this post, so watch this crazy Dutch commercial. 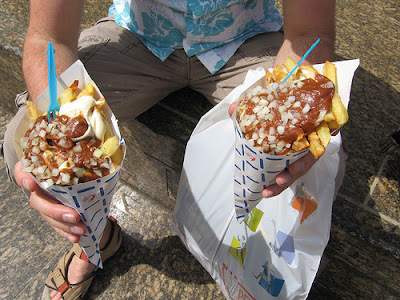 wow... i really love fries...but this one is exciting..
That was def my favorite snack food when we went to amsterdam! That's a rather strange combo but it works. I'm glad to see I'm not the only one who enjoys these types of things. "schnellimbiss" is German... 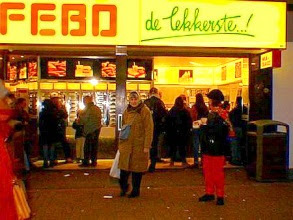 The Dutch call it "snackbar". They also sell different stuff really. Nice write up though! I was gonna post the same thing. 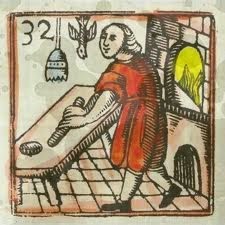 Schnellimbis is definitely not a Dutch word or thing. Ps. My boyfriend is on his way home now with a patatje oorlog. Can't wait. there are not french fries, french fries are long and thin and in the netherlands the fries are shorter and thicker.